In late 2018, Congress passed the Small Business Runway Extension Act, which had a single purpose: change the three-year average annual receipts calculation period (for determining small business eligibility) to a five-year calculation period. Small businesses, for the most part, have been watching with bated breath for the SBA to comply with the Runway Extension Act. But as we’ve previously written, the SBA has thus far refused to do so (albeit under shifting rationale). I’m not convinced the SBA has it right. The Small Business Runway Extension Act continues to be a hot topic of conversation among small businesses. For good reason: it revised the receipts calculation period for revenue-based size standards from three years to five. In late 2018, the SBA opined that the Runway Extension Act wasn’t applicable because the SBA had not yet updated its regulations. Following industry pushback, the SBA’s position seems to have evolved. During a panel discussion at this year’s National 8(a) Conference, the SBA said that the Runway Extension Act applies to every agency that might adopt its own size standards . . . just not the SBA itself. This new justification is a bit of a head-scratcher. And I still don’t think the SBA has it right. Let’s work through the SBA’s position together. The Small Business Runway Extension Act, signed into law earlier this week, changes the small business size calculation under revenue-based NAICS codes from a three-year to five-year average. The new law has sparked a great deal of discussion in the government contracting community, with some commentators pointing out that not all small businesses will benefit. But how does the SBA–the agency tasked with implementing the new law–feel? Well, according to commentary published earlier this year, the SBA thinks the five-year period is a bad idea. You probably know this already—from what we can tell word is spreading like wildfire—but Monday (Dec. 17, 2018) the president signed the “Small Business Runway Extension Act of 2018” into law. This changes the period of time the U.S. Small Business Administration uses to measure a business’s size in revenue-based size standards from three years to five years. 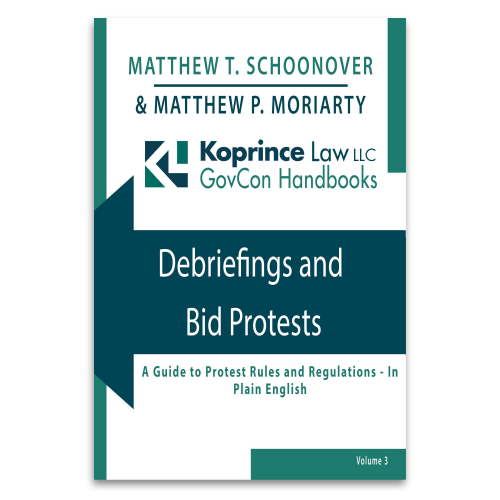 The law doesn’t say that there will be a period of implementation, so it’s reasonably safe to assume the effect is immediate. The House and Senate have passed the “Small Business Runway Extension Act of 2018,” which appears poised to become law in the coming days. As my colleague Matt Moriarty has written, the bill would amend the SBA’s small business size rules to use a five-year average, instead of a three-year average, in calculations using receipts-based size standards. The purpose of the bill is to help contractors avoid becoming “other than small” following a period of quick growth, but not all companies will benefit. For companies with declining revenues, the bill may backfire, causing those companies to be stuck as large businesses longer. 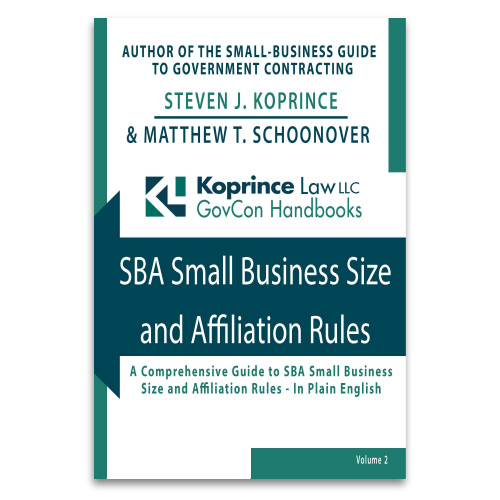 Written in plain English and packed with easy-to-understand examples, this GovCon Handbook demystifies the SBA’s rules regarding small business status for government contracts.